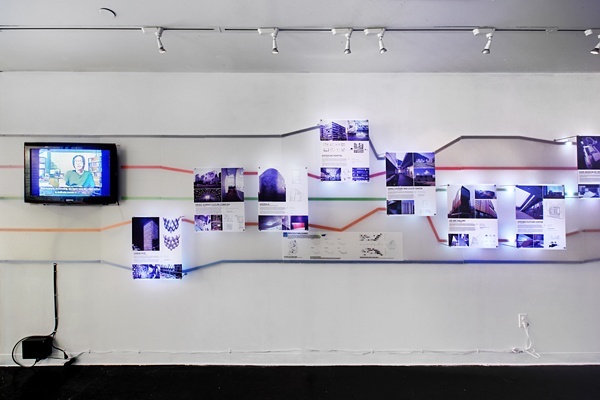 Stemming from a research project and exhibition at the Harvard Graduate School of Design, this interactive exhibition staged at the Korea Society examines contemporary Korea’s architecture, landscape architecture, and urban design. The twenty-nine projects shown exemplify five interrelated themes that continue to shape modern Korea’s development. The topics of historical transformation, accelerated density, topographical syntax, material identity, and infrastructural alliance, are mapped onto the wall as trajectories that converge and diverge. 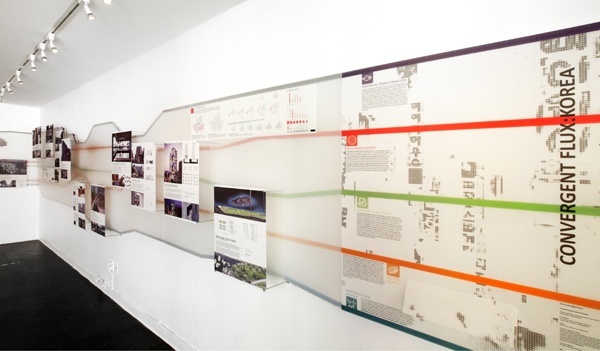 By utilizing a series of motion sensors that illuminate panels of information, visitors are encouraged to interactively explore each project and its relation to the themes and other projects. In parallel with the exhibit, Jinhee Park and John Hong moderated a series of lectures which included Marion Weiss and Michael Manfredi as well as organized and moderated a roundtable discussion with Taewook Cha, Felipe Correa, Mark Rakatansky, and Soo-In Yang. The research has culminated in the book, Convergent Flux: Contemporary Architecture and Urbanism in Korea. 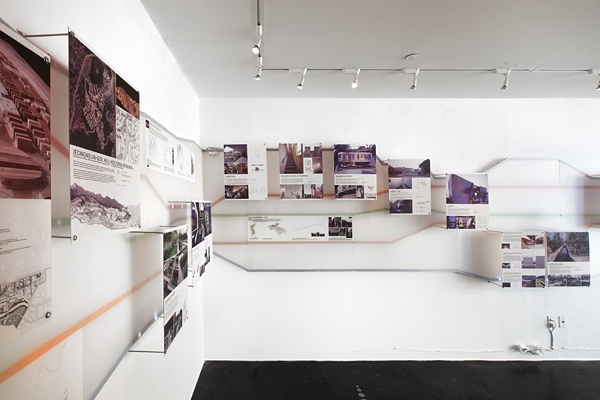 5 themes represented by colored lines organize the exhibited projects. The images float in front of the wall while the organizing themes appear as lines running continuously around the room. Lighting behind the panels react to users’ movement showing the interrelationship between projects and the 5 organizational themes. 90 minutes of video interviews with the designers give personal context to the work.